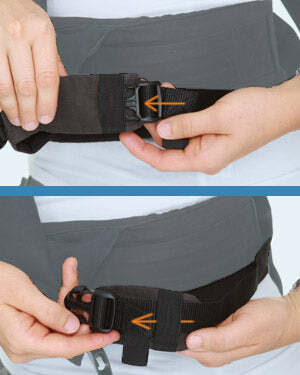 4 Pull shoulder strap ends forward to adjust them as needed. 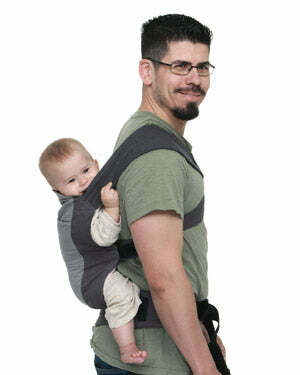 Make sure baby is comfortable, close to your body and not slumping. 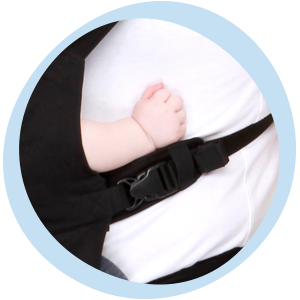 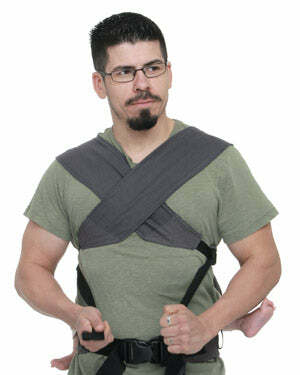 You are adjusted too tight if baby is unable to move arms with no room between baby & wearer. 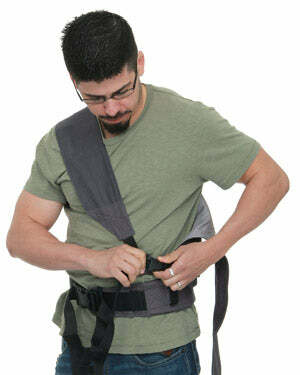 It is always important to perform your safety checks each time you put on the GO and periodically throughout the day.